Every year, thousands of animals, including birds and reptiles are killed on South Africa’s notoriously dangerous roads due to vehicle collision with animals. Colliding with wildlife is likely to cause significant harm to the driver, passengers, animals and the vehicle,yet evidence from a recent Endangered Wildlife Trust(EWT)study reveals that some drivers may in fact deliberately swerve to hit the animals. 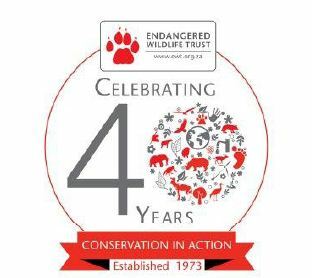 Roadkill research undertaken by the EWT in the Greater Mapungubwe Transfrontier Conservation Area (GMTFCA), northern Limpopo, found evidence that a number of species are deliberately killed on the roads (including snakes and Black-backed Jackal). A preliminary study in the GMTFCA, using fake animals (chameleon, snake and grasshopper), also showed that two out of 50 drivers deliberately swerved to ‘squash’ the fake chameleon. Out of 600 drivers surveyed by the EWT in the GMTFCA, five-per-cent admitted to deliberately killing animals on roads. The main reason given was dislike of the animal, either through superstitious folklore within local communities, or a landowner ‘vendetta’ against certain carnivores (e.g. Black-backed Jackal and Caracal), which are believed to be responsible for livestock killing. “Through the Wildlife and Roads Project, the EWT has been working to raise awareness of the threat to wildlife from roads and road users. We are also identifying, developing and implementing relevant mitigation strategies that will ultimately protect wildlife from roads and improve human safety” remarked Wendy Collinson, Project executant: Wildlife and Roads Project. South Africa already experiences a high accident rate due to road factors such as slippery roads, potholes, sharp bends and poor visibility. As we are fast approaching the festive and holiday season, the EWT cautions drivers to be vigilant and exercise caution when driving on the roads where wildlife is present. Swerving for animals has been reported to cause injury or death to vehicle occupants and to the animals. The Automobile Association recommends that drivers do not swerve at all since swerving to avoid an animal can often cause a more serious crash or result in loss of control behind the wheel. “Swerving at high speeds can be fatal for the driver and vehicle passengers. Complacency is high on rural roads due to a general lack of traffic but obstructions can occur anywhere. It is best to be alert at all times”, said Collinson.